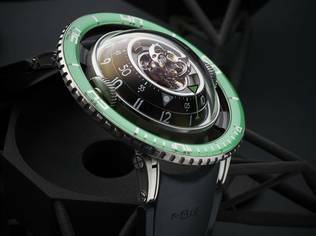 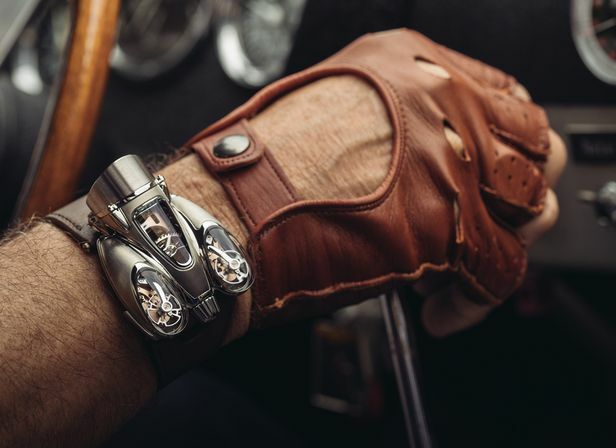 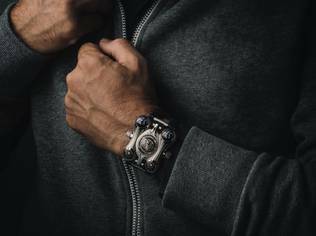 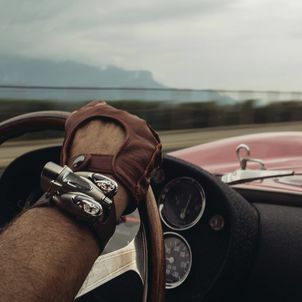 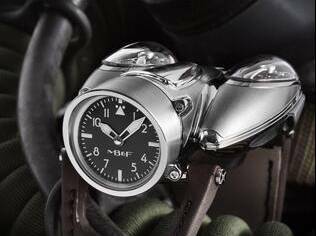 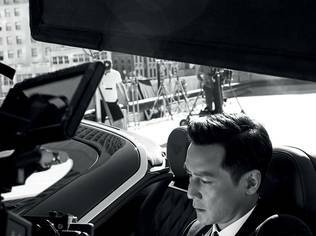 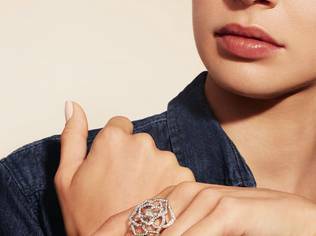 Introducing MB&F's newest horological machine, the HM9 'Flow,' a nod to the aerodynamic-inspired curve-bodied automobiles and airplanes from the 1940s and 50s. 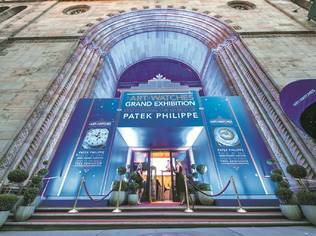 The two lateral pods facing outwards each house a flying balance wheel and fully independent regulating system (similar to that seen in the brand's Legacy Machine 2 timepiece), visible under domes of sapphire crystal. 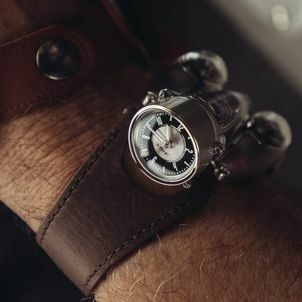 Facing inward towards the wearer, a dial indicating hours and minutes driven by conical gears, is perpendicular to the heart of the machine, where a battle axe-shaped planetary differential averages the output of both balance wheels to provide one stable reading of the time..
- the ‘Road’ edition has a rose gold plated movement and classic speedometer-style dial.